Now that we have seen a vast majority of what we can expect to see for sale this year from a Legends perspective, I thought it might be fun to look towards next year. What do you think? What wave would you build? 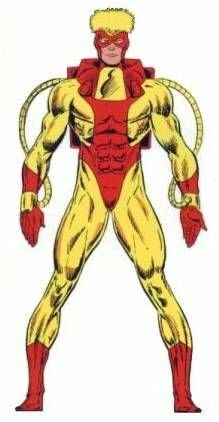 I'm enjoying how Hasbro is sneaking in other members of the Serpent Society with Rock Python being the latest member to get the plastic treatment but it would be great to get more members of Gladiators Imperial Guard as well as all 4 members of the Star jammers, a Comic based wave consisting of 4 core members of the IG plus Corsair, Raza, Hepzibah & Ch'od as the BAF would be an awesome wave for fans of those 2 teams. This wave could fall under the 80th anniv line of comic based figure waves. I love this wave! Would be an instant buy for me. Ahab is a figure that I have a lot of love for since he was one of my favorites as a kid from the ToyBiz line. But a very selfish part of me would rather see him on one of those vintage cards. Great wave though! I would be all in on these too! 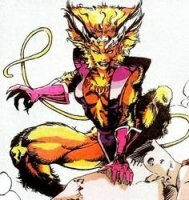 I had that ToyBiz fang figure but I always thought it was a saberooth? Now I have to read up on these dudes. 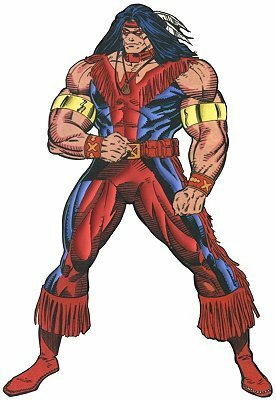 As a huge fan of the 90s animated series, Corsair would be amazing to own! Thank you for your reply! 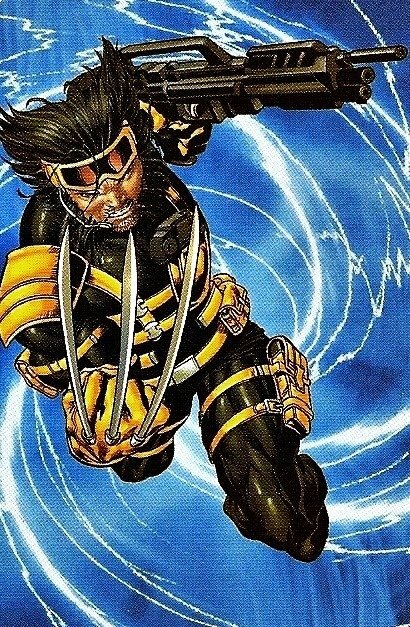 There are two figures left to be revealed for the vintage wave, maybe he is one of them, and he’s been prominent recently in comics!! Oh wow, I didn’t realize that. Haven’t bought any books in a while to be caught up. Gives me hope hope that you may be right though. What new books is he featured in? I will keep an eye out for them next time I am in my LCS. Thats an amazing lineup, I'd definetely buy it all, though knowing hasbro its hard to not see at least 2 very well known characters. I could do without Ahab, just cause he is not that well known and having avalanche, pyro and exodus already in the wave hw could be switched off with a more well known character and released in another wave after. This is what I think would work taking your list into considerarion. I really want a Banshee. Your second wave is amazing, instant buy. This does look good. I wonder what iteration of each character you're thinking. I was disappointed by the modern X-Force Warpath they released a few years ago. 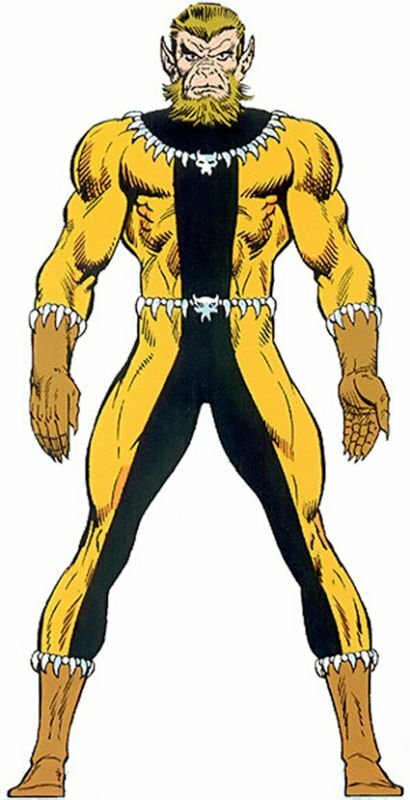 Were you thinking Banshee's blue and yellow costume, or the high collar green and yellow? Speaking self-centeredly, I prefer characters and costumes from before the 2000's. Since this year contains lots of X-Men and Capt Marvel hype, that was/is my guess to an SDCC set; Those 4 jammers along with Binary. 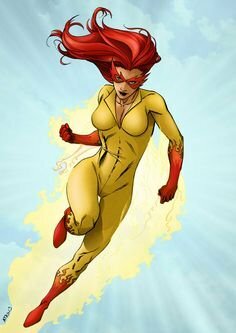 Im partial towards classic costumes, mostly mid 90's costumes since thats when I started reading comics, but some of the really classic costumes are also good (Im not a fan of the more modern costumes I draw the line before Astonishing X-Men Costumes) so if it was my choice id probably go with more classic looks. 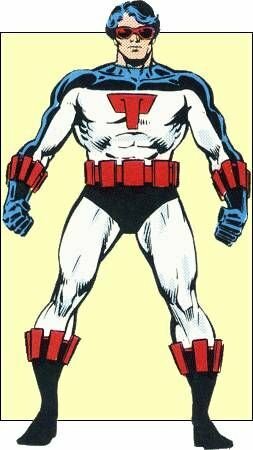 BTW: I totally forgot about Maverick, I would change any figure in my list for a good Maverick Figure, I always really liked the character. 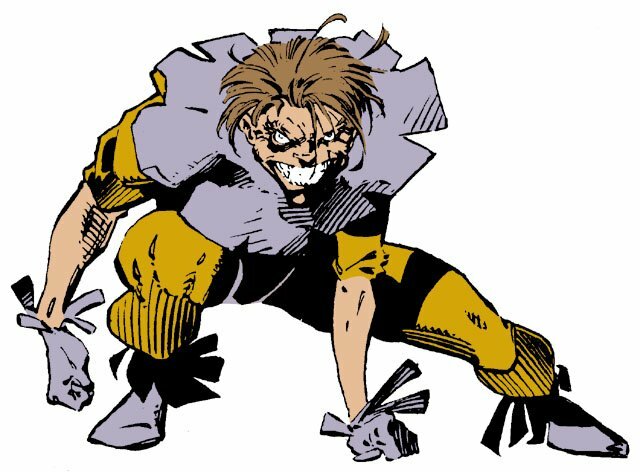 And now that I think about it I kind of would rather get a Ferral over Wolfsbane just to round up the 90's X-Force team more. 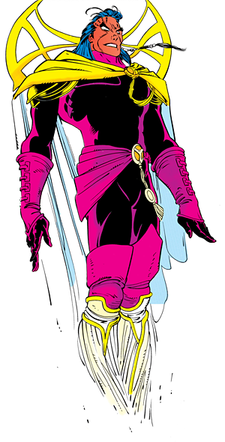 My answer will forever be a Peter David X-Factor wave. Layla Miller, Longshot, Rictor, Wolfsbane, Siryn, Shatterstar. M and BAF Strong Guy. Can't say I am familiar with the Pyro attire. I would definitely prefer a re-vamp of the Toybiz version, but would welcome any new Pyro at this point. I completely forgot about Maverick. No Weapon Plus shelf is complete without him (or Lady Deathstrike for that matter). My top 3 BOEM wants are classic versions of Blob, Pyro & Avalanche to go along with Mystique & that classic Mags we have coming. The next Blob has to be a BAF as Hasbro will be going all out to top that great ToyBiz Blob which I stupidly sold off yrs ago for a bargain. Can't say I am familiar with the Pyro attire. I would definitely prefer a re-vamp of the Toybiz version, but would ﻿welcome any new Pyro at this point. I completely forgot about Maverick. No Weapon Plus shelf is complete without ﻿him (or Lady Deathstrike for that matter). Haha that’s hilarious! I think it’s possible that we see the full Reavers over the next couple of years. 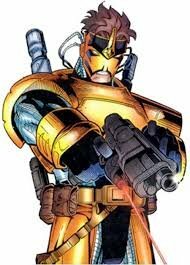 I don’t think they would introduce Skullbuster without at least the intention of giving us a couple more Reavers. I'd like Vapor from the U-Foes too but think she'd be tricky to create a figure for. Other character options include Gargoyle and Bi-beast, i suppose MODOK too. 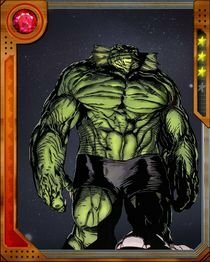 Some people might argue you need a hulk fig in the wave itself; in that case, you could do either Grey Hulk or even Amadeus Cho Hulk in the wave (probably replacing Ironclad, alas) , then have Maestro and Mr. Fixit being the respective BAFs. 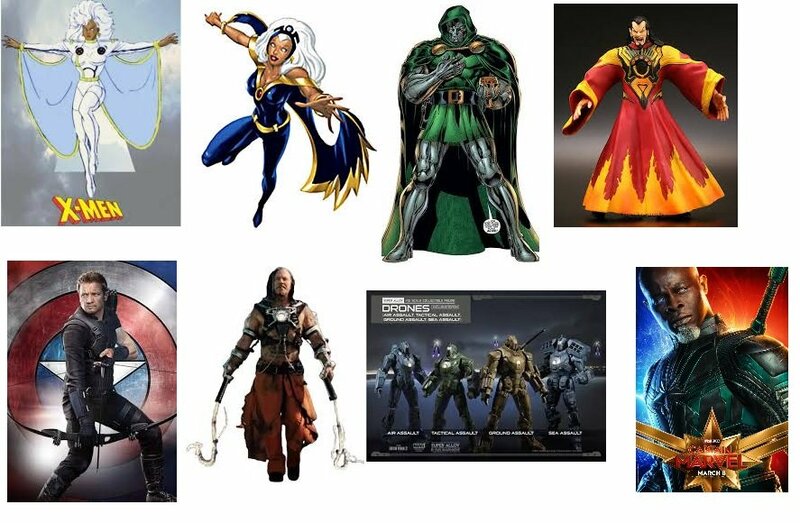 I'd also love an FF rogues gallery/allies wave, i'll try and narrow it down to 7 figs and a BAF later. A better comic accurate Planet Hulk would be amazing too. That original hulk only wave was actually pretty good, but I was never able to get the planet Hulk figure. yeah i got into collecting after that wave came out and the figures were too pricey for the likes of me lol. For me the mcu gladiator hulk is a reasonable stand-in for the planet Hulk figure but definitely would be happy for a comic version more faithful to the look in that storyline (the select version seems like pretty nice as well). As far as Zzzax, i suppose you could make him the BAF for the wave due to his size, i just think he's less of a draw than some sort of Hulk character. as BAF. But if he's as cool looking as he should be, it could work. Agree that grey hulk is often portrayed as smaller than green hulk so he could potentially be a single card.